The terms Continuous Deployment and Continuous Delivery are most of the time mistaken with each other. The abbreviation CD is sometime used for Continuous Deployment and sometimes used for Continuous Delivery! Hack I even use the terms in wrong situations were I forget to mention the right one, but there is a real difference between the two. As we want to keep things simple Continuous Deployment is nothing more then deploying every code change to production. When looking at the definition you will notice that Continuous Delivery is an enabler for the DevOps practices. Based on this we can say that Continuous Delivery is a set of tools, processes and techniques for rapid, reliable and continuous development and delivery of software a definition defined by “Martin Fowler”. The process for releasing/deploying software must be repeatable and reliable. If something is difficult or painful, do it more often. Keep everything in source control. Everybody has responsibility for the release process. Combining the eight principles and the definition of Donovan Brown makes Continuous Delivery the real enabler for the DevOps practices were the term is not only a certain form of release management but much more. Hey Maik. Nice post, thanks for sharing. It was great to clarify the difference between Continuous Deployment and Continuous Delivery. I have a slightly different point of view on the relationship between DevOps and Continuous Delivery. If you don’t mind, I’m going to share it with you below. 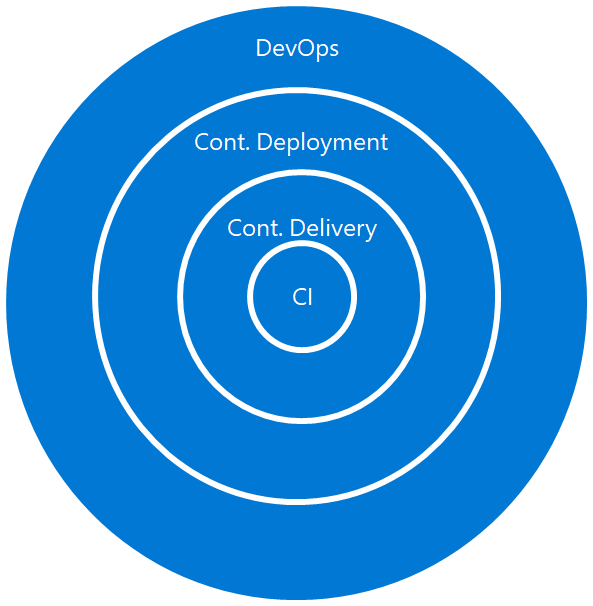 From my perspective, DevOps is the enabler for continuous delivery. Something around the opposite about one enabling the other. For CD, we have some foundations around quality, responsibility, improvement, iterations, etc. And DevOps is the union of people, processes and tools that enable the continuous delivery of value to our end users. Thanks for being open for discussions. Thank you for your comment. Think that is a really interesting discussion and that they are booth right in someway. From my opinion I don’t think we could have DevOps without Continuous Delivery. Maybe we should have a discussion on that in real life.